Lucifer is about to get a spanking, and it's not going to be the fun kind! Mom is on the loose, and she's not too happy. At least that's what Lucifer thinks! How hilarious is it that he's actually praying for help? Maybe all the horrors he thinks Charlotte will bestow on him are all in his head. 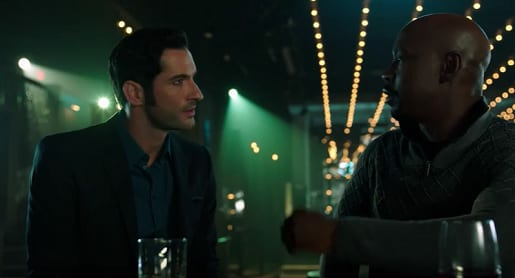 If she does punish Lucifer, will she punish Amenadiel too? Even though he might not have had anything to with her being locked up, when a mom is mad everyone could be in trouble! And how does Uriel fit in all of this? Is he coming to save his brothers or to help his mother? Chloe thinks it's odd that Lucifer is praying, but Chloe thinks Lucifer is odd in general, so that's no big surprise. Does she know about Charlotte? We can't wait until those two meet! How will Charlotte react to this woman who basically has her son's heart wrapped around her finger? Wouldn't it be great if they actually get along? Just think how Lucifer would react to a friendship between his mom and Chloe?! How would Maze react? As long as there's no romance between our two main characters, we're good. 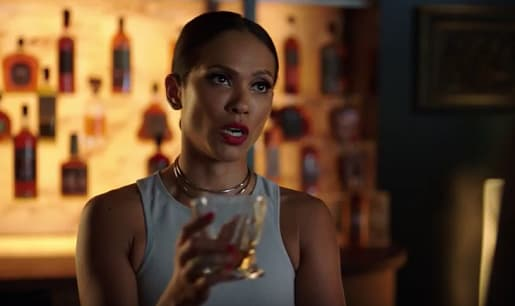 Will Chloe finally realize that Lucifer is who he claims to be? It would definitely change the dynamic of their relationship. But, then again, maybe she already knows he's really the devil. We still don't know why she affects him the way she does. What is Dr. Martin going to think of all this? 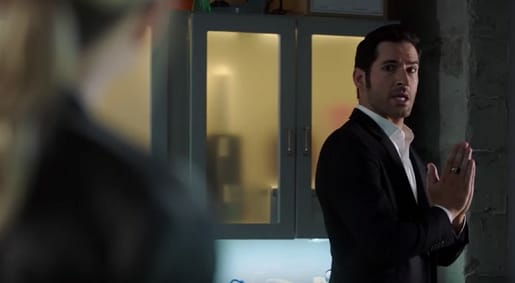 Lucifer has never talked about his mother before, so this adds a whole new dimension to Dr. Martin's view of Lucifer. How she will help Lucifer deal with his mother is anyone's guess. She might not be able to help him at all. He needs to figure something out soon, though. Right now, Charlotte looks like she's having the time of her life, but we all know that feeling won't last. Eventually she's going to want some revenge for being locked up in Hell. Why was she locked in there anyway, and who locked her up? More importantly, though, who let her out? She certainly couldn't have gotten out on her own! Somehow, we think maze had something to do with it. She wants Lucifer back in Hell and away from Chloe, so what better way to force him back to where he belongs than setting his mother free. If anything, it might make him focus on something else other than Chloe! We don't know how any of it will play out, but we can't wait to find out! Check out the promo below, and tell us what you think will happen during Lucifer Season 2! Lucifer returns September 19 at 9/8c on Fox!